Google is rolling out a bevy of new open-source Accelerated Mobile Page tools for developers this week, coming in two flavors: AMP for email and AMP Stories. 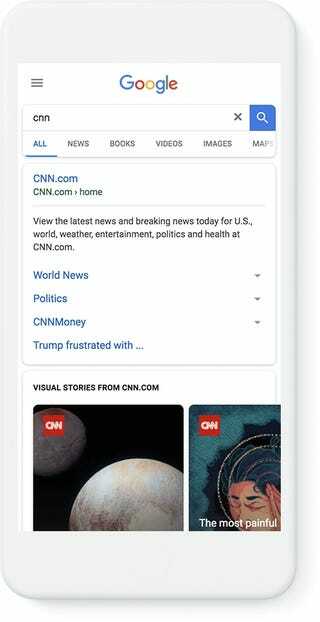 While anyone who reads news online might have already seen AMP articles, these new tools have the potential to shape what people see and do online in Google’s favor, so it’s worth paying some attention. The open-source AMP for email (read: Gmail) allows for marketers, newsletter editors and others to include things like calendar appointments, fill out forms, or send RSVPs directly in a message, per the Next Web. 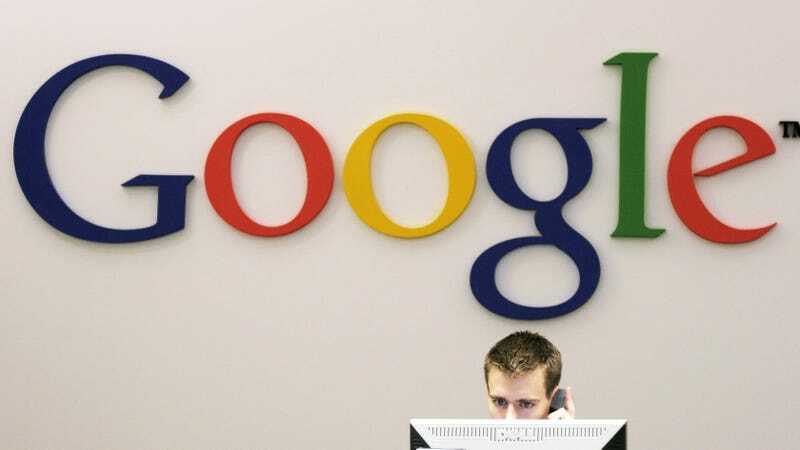 The intent is for Google to offer more functionality for tasks that might have previously required clicking out to other websites or cloud applications. Per the Verge, other applications might include live-updating widgets with functions like scrolling through Pinterest posts directly in your Gmail inbox. 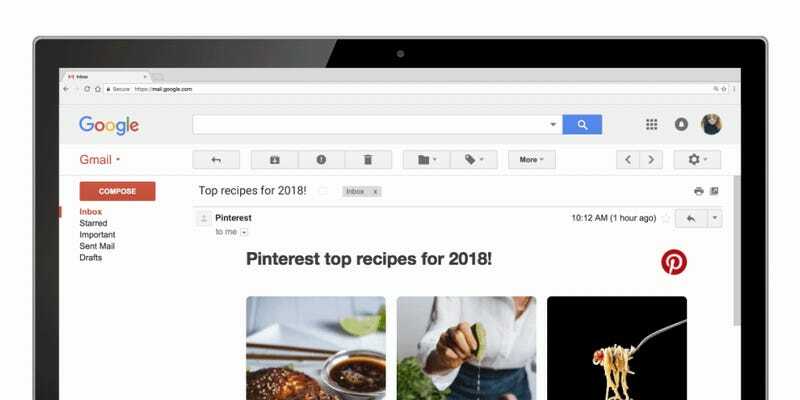 This does look cool, but what’s important is that Google has a head start on a new, more interactive type of email that it could stand to benefit immensely from. If you’re using Chrome, for example, that’s three layers of Google (though how much more power this really gives the company is debatable, given Gmail users have already conceded to letting Google read all their emails). But is anyone going to switch to Gmail to take advantage of more interactive marketing material? Shrug. It’s spiffy though and probably coming to other email clients soon! Search for a publication like People, CNN, or our sister site SBNation, and you might get served a carousel of slideshow content created by that partner. It could be a slideshow of a top-10 list, little moving images, or some other “visually rich [way] of storytelling specifically designed for mobile,” as Google puts it. Currently it’s available in a kind of test format at g.co/ampstories for mobile browsers. For now, it’s only running when users search for the names of certain publications. While technically anyone can create their own AMP stories using the open-source technology, Google really wants publishers to create these and wrote in its blog post that it “plans to bring AMP stories to more products across Google, and expand the ways they appear in Google Search.” So eventually these could get rolled into regular mobile search results, displacing some of the current occupants of some of Google’s most valuable real estate and replacing them with AMP-powered slideshows. Here’s why that’s potentially concerning: As the bulk of news consumption has gone online, more publishers are seeing their traffic come from a handful of sources—mostly social media and search engines. Of those categories, Facebook and Google are by far the largest players, and just like Facebook before it, there’s the chance that Google through a mixture of carrots and sticks will try to herd publishers into publishing in formats it has functional dominance over. If you’re, say, the SEO-dependent industry news source CarrotNews.com (carrot news isn’t going viral on Facebook) and Google begins pushing CarrotFacts.com results in Google-optimized AMP formats above your old WordPress format, your decline in Google referral traffic might push you to start making more slideshows. Either way, the terms of the carrot news game are increasingly set by Google, which controls somewhere in the neighborhood of 94 percent of mobile search. You and CarrotFacts.com are fighting for its patronage, or scraps like audience loyalty and Bing. But wait, this is open source! You can still technically put an AMP slideshow page anywhere. The thing is that like noted above, everyone is using Google mobile search, so the open source part is window dressing compared to its network effect. The company clearly wants to steer users into clicking on new AMP Stories slideshows through premium Google placement, just like it’s given priority placement to other kinds of AMP pages with Google-friendly restrictions on advertising. As Recode wrote, there’s “only a select few ad-buying tools, including Google’s massive ones” on AMP pages; previous reporting has suggested that Google is waiting to see how the new format performs before it goes all-in on AMP Stories monetization. While Google is currently running what it calls a “development fund” for publishers to build these AMP-powered slideshows, per the Verge, when the tool is past its beta stage Google can decide to buck those costs to publishers. Good news can come in any format, but slideshows are slideshows, and this could also encourage an already strained media to devote even more resources to clicky “snackable” content that looks good but isn’t really full of annoying things like paragraphs. The risk is that you end up with a tired media stuck in an endless cycle of “advertising arrangements with accidentally enormous middlemen apps that have no special interest in publishing beyond value extraction through advertising,” as the Awl’s John Hermann put it. And unlike previous players like Snap which tried to replace the old news model with walled gardens, Google is an enormously powerful middleman. AMP Stories is essentially a much more fluid version of Snapchat Discover or what Facebook was trying to build with Instant Articles. On the flip side, as Facebook’s troubles over the past few years have grown it’s had serious backlash from clumsy attempts to play platform and publisher at the same time, and it’s found out that it’s pretty hard to launch formats designed around platforms’ wants rather than readers’ needs. Now Google seems to be playing a not entirely dissimilar game, though a more subtle one. It’s a smart move, and Google has certainly been more generous to journalism than Facebook, but trust the friendly giant at your peril.